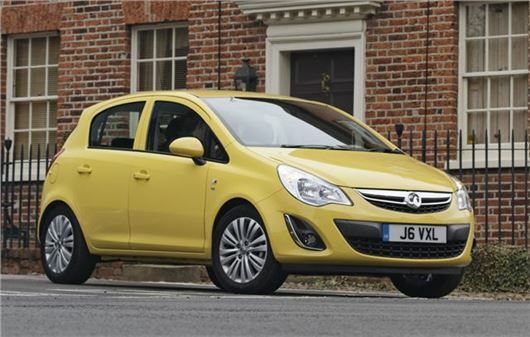 Despite rumours, Vauxhall will not be showing the next generation Corsa at the Geneva Motor Show next month. The new small hatch is due to be launched by the end of the year but it now looks likely that it will be officially unveiled at the Paris Motor Show in September. Instead of the Corsa, Vauxhall (or Opel) is debuting a new a 1.0-litre petrol turbo in the Adam, much like Ford’s EcoBoost. This will be available with 90PS or 115PS and will almost certainly be the mainstay of the upcoming Corsa range. The rest of the new Corsa's engine range, though not formally announced, is likely to consist of a mixture of familiar Vauxhall units, including the new 1.4-litre petrol turbo and 1.6-litre CDTi. The emphasis will be on affordability and low running costs, meaning numerous models with emissions of below 100g/km. As one of the UK’s bestselling cars, Vauxhall isn’t likely to change the formula of the Corsa too much. Disguised cars have been spotted in the UK and what we do know is that the new Corsa isn't being built entirely from scratch – beneath the surface the new Corsa will be on a much reworked version of the outgoing car’s chassis. It should have improved ride quality, better grip and more steering feel. The next Corsa is expected to look very similar to the Adam. The cabin will also get the Adam treatment with higher quality plastics and soft touch materials. There’s no official word on when the new model will arrive in showrooms, but expect it to be on sale shortly after its official unveiling later in the year. Price-wise expect a very basic variant to be offered for around £10,000, with the rest of the range competing with the Ford Fiesta in terms of equipment levels and pricing.